The hike to Confederation Lake is a bit more challenging but well worth the effort. At 7.3 km one way from the Inland Lake turn-off (around 3 hours each way), this trail can be done round-trip in a long day-hike, but staying at the Confederation Hut overnight is more doable for beginner hikers (you’ll be tired when you get there). Since it’s part of the Sunshine Coast Trail, the route is very well-marked with orange squares. The first stretch along Inland Lake is easy-going. You’ll get to a marked turnoff to Confederation Lake just before reaching Anthony Island. From the turnoff, the trail winds uphill and takes a left onto an old road. The trail is very steep after the turnoff and stays this way for some time. You’ll eventually come to a steep ramp where a long section of strenuous switchbacks commences. These switchback are extremely challenging and you’ll likely need to take several breaks. 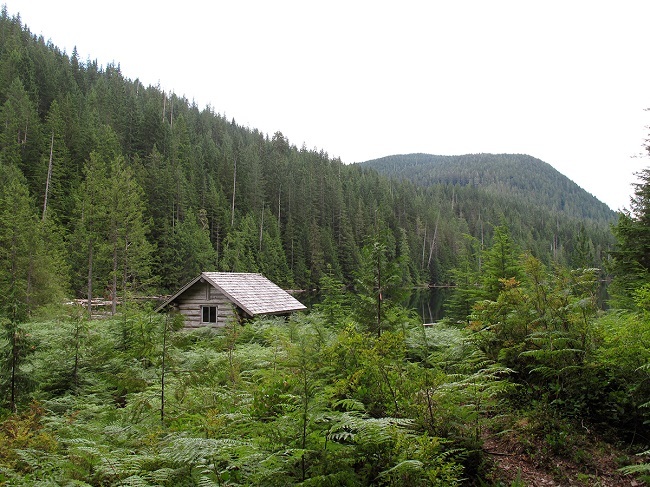 Further on, the hike is still uphill but becomes gentler, and the forest views are lush, with some old-growth, lots of moss coverage, and a ravine criss-crossed with fallen trees. Quite beautiful! Through the trees you’ll soon see the waters of Confederation Lake and a sign marking the hut (2 km) and Fiddlehead (9.4 km). This could also be reached in a long day-hike, but you’d have to spend the night there. The lakeside section is rolling and pleasant with lots of old growth. At the hut, there are six bunks with a woodstove, picnic table, open-air pit toilet and a campfire pit. The lake is great for swimming too, and there’s an 800m hike beyond the hut to Vomit Vista, with a nice view of Powell Lake. The hut is known to inhabit some mice, so if you plan to stay overnight, make sure your food is packed tight. Take Joyce Ave North and take a left on Manson Avenue. Take a right on Cassiar., left on Yukon, and right on Haslam. Take the gravel road left, to Inland Lake. Take a right when you get to the Haywire Bay turnoff, continuing to Inland Lake. 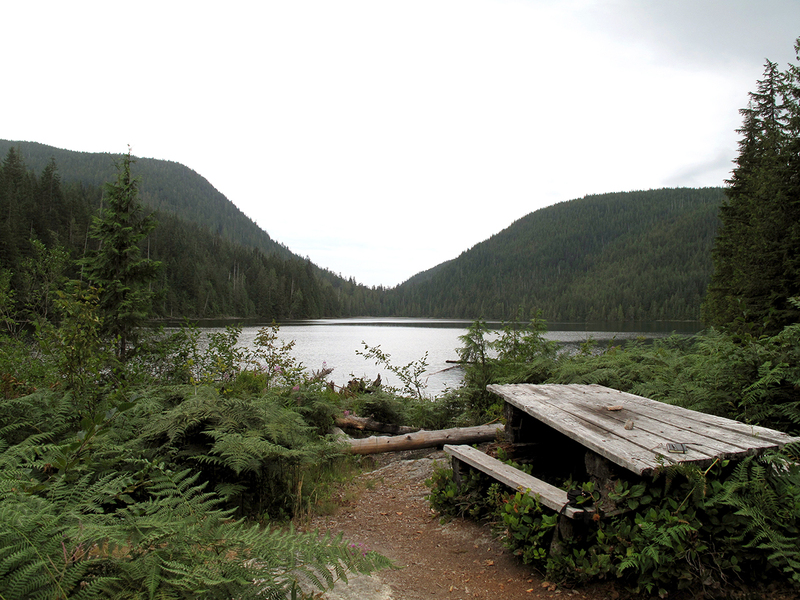 The Sunshine Coast Trail book recommends driving 2 km past the Inland Lake campground, the road is rough and may not be possible in a smaller car. You could also drive down to the boat launch, parking there, and setting out on the Inland Lake trail heading north.